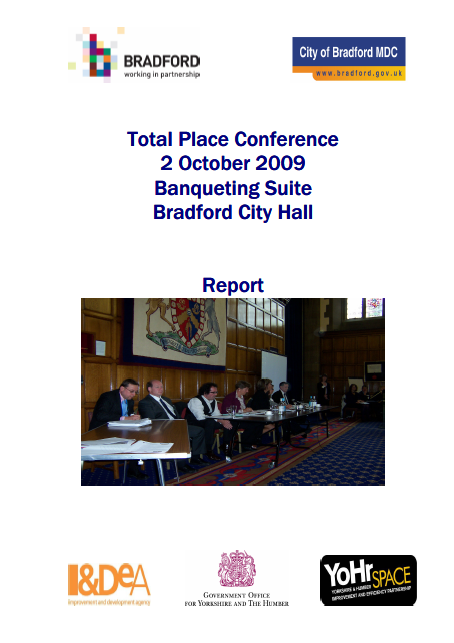 In May 2010, Total Places from across the country were brought together for the Total Place Summit in London. 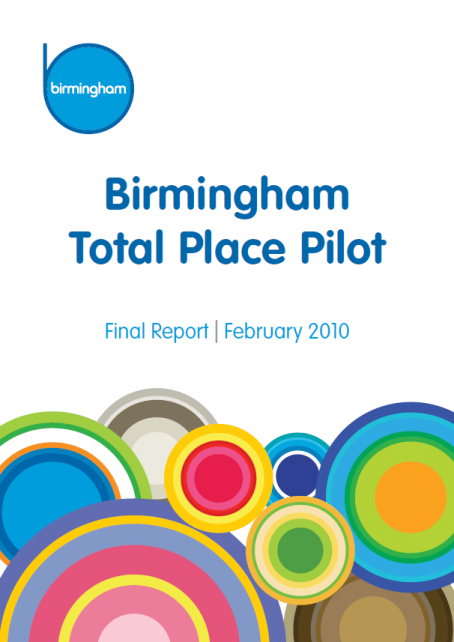 The Total Place programme started in 2009 with the aim of understanding how local public services are funded, designed, joined up and delivered, in order to make links between services and public value and to see where public money can be spent more effectively. • Develop a body of knowledge and learning about how more effective whole place working can deliver the above. The programme formed part of Lord Michael Bichard’s work on the Operational Efficiency Programme, which looked at where efficiency savings can be made in the public sector. Total Place sought to look at where the relationship between local and central government is contested and evolving, aiming to engage elected members in the process of making local government more successful in the work they do. 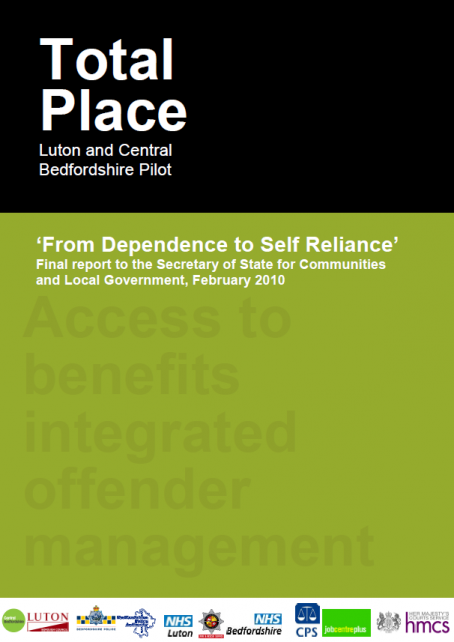 There were three complementary strands that made up Total Place, each of which is critical to ensure that together public services can be made better for people at lower cost by doing things differently. Together, these strands aim to identify potential efficiencies and help people and organisations work together to achieve them. 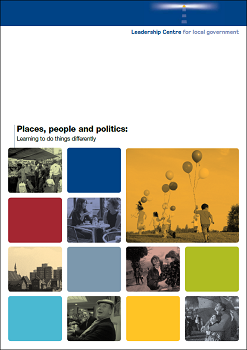 Counting – Total Place pilots conducted a ‘high-level count’ of all public expenditure in their place, and a ‘deep dive’ work into specific policy fields to develop a coherent local and national perspective. Culture – The pilots explored how organisational cultures across public services inhibit joint working and our ability to deliver public value. Customer Insight – This stream was focused on using customer insight to better understand citizen need in order to provide the evidence and rationale for re-designing public services and making better use of resources, seeking to share with pilots wider learning about customer insight from other sectors and places. Politicians and senior managers in 13 areas volunteered to act as pilots and explore this new way of working, which drew in colleagues from other local and national organisations and Whitehall. Each pilot chose a theme that reflected its local priorities and the learning and developments from these pilots was captured in reports available below. The high-level officials’ group, chaired by Lord Michael Bichard, held the role of supporting and providing oversight for the work of Total Place at national level, listening to the findings from local colleagues, ensuring that interdependencies were identified and addressed, and ensuring that the project had full support across central government. Even with the high level oversight provided by these groups Total Place localities were encouraged to spot and act on opportunities which presented themselves locally. As things began to progress and with senior leaders involved in the work, the pilots were encouraged to test radical ideas in place rather than save them for formal evaluation. The Leadership Centre supported the pilots, providing practical leadership and innovation support and coordination for the 13 pilot places which made up the programme, as well as helping to share the place based learning and create links between the different organisations involved in the work. Each of the Total Places reported the methods, learning and conclusions that they came to throughout the programme and upon its completion. 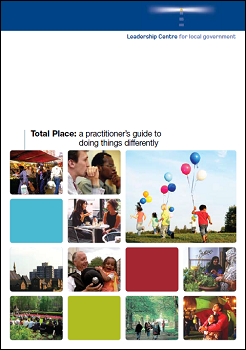 As the Total Place work progressed, the Municipal Journal worked with the Total Place team to produce a series of supplements following the progress of the Total Place work featuring latest news from pilots, Whitehall, parallel places and experts in culture change work.